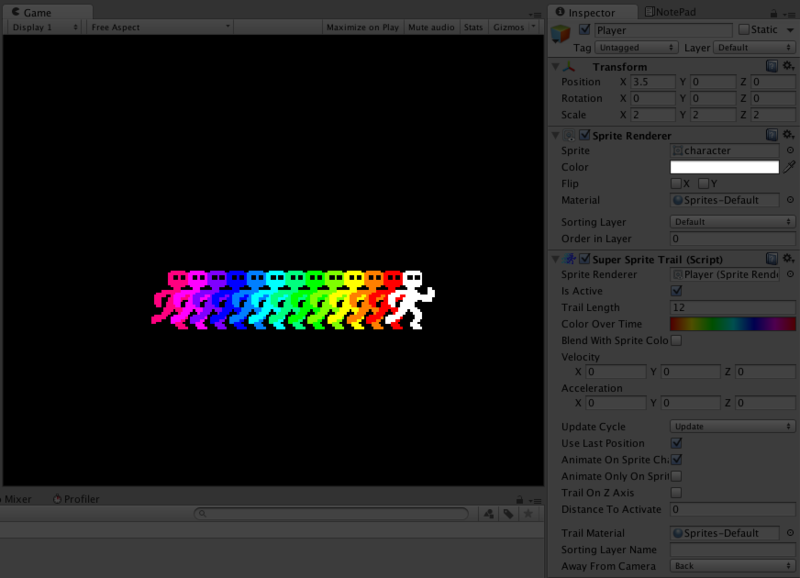 Super Sprite Trail is a simple tool for putting trails on sprites in Unity! Uses object pooling so trails can be drawn as quickly as possible with the least amount of CPU! Inspector controls look like built-in Unity components, so finding your way around is natural. A solution to sprite trails in overhead-perspective game is included. All variables respond to runtime changes. Trail color is handled with a gradient, so trails can get complex and still have simple editing tools. Comes with shaders for common trail effects!